The most frequent request I get from students is to reveal the herbs and remedies I use in my personal daily life. As a wildcrafter, while I’m always on the lookout for a wide variety wild plant stands, and harvest and teach about dozens, I do have my favorites. 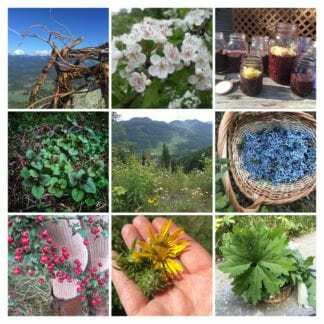 In this workshop, I’ll unpack the medicine of my 10 most wanted wild plants of the Pacific Northwest, with best preparations for extracting and preserving the medicine, and appropriate applications. I’ll even throw in geeky science stuff like the specific chemicals found in each plant that will give you the “how and why” of what the plants do in YOUR body. That is what’s different at CMHS. We dive deep inside the plants and our bodies to go beyond simply “this herb is good for this issue.” This also gives you street cred when talking about herbal medicine with those who might be skeptical. “Getting the medicine to the people in ways that they’ll take it” is my motto. Students will have an opportunity to sample a variety of herbal treats including truffles, herbal lemonade, elixirs, herbal honeys, tinctures, and herb salts. In this way, they’ll glean valuable information about getting herbal medicine to their people! This workshop will be at 21 Acres Farm in Woodinville. Details will be in the confirmation email. I look forward to sharing this information with YOU!